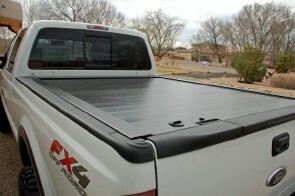 This hard tonneau cover retracts out of the way into the canister at the front of the truck bed. 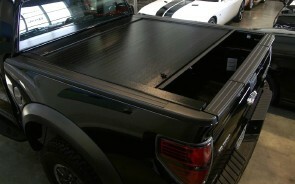 Weather-resistant panels that glide along black powder-coated side rails. Built-in pull strap engages the latch at 12" intervals.